The Noble Bed will bring a new kind of luxury to your home. 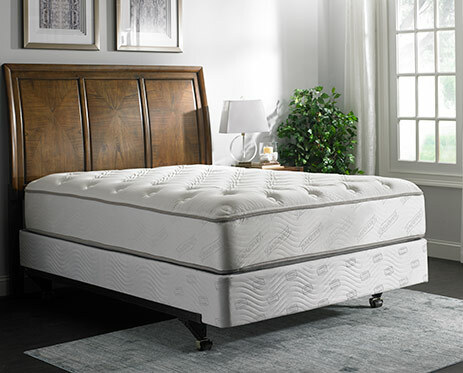 With its deep-quilt-top mattress and shock-absorbent box spring, you will enjoy comfortable sleep. 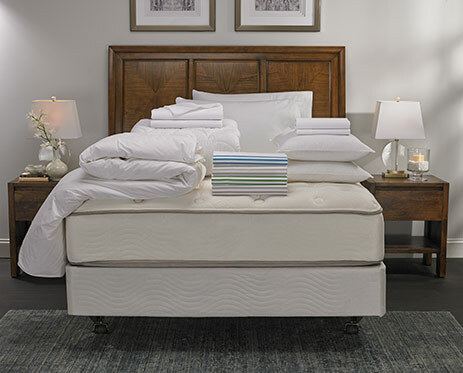 Experience the optimal support thanks to specially engineered foam and comfort layers that relieve stress to let you rest soundly through the night. Dress your Noble Bed in the elegant comfort of our bedding set, complete with linens, pillows, and duvet. Your luxury escape awaits.